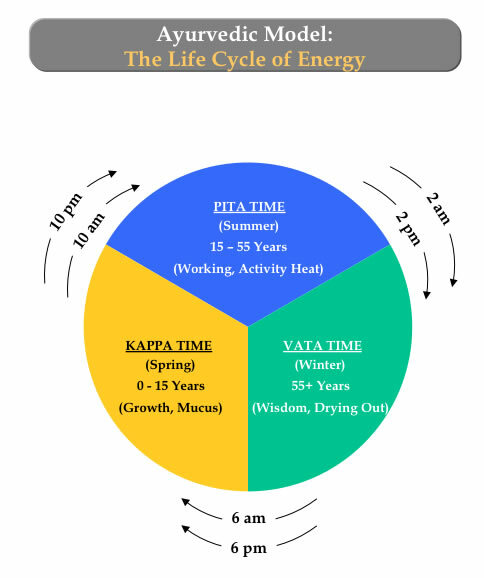 Ayurvedic healers view the life cycle in terms of a gradual transition of energy from Kappa to Pita to Vata. Kappa, through the age of 15, concerns growth and building skills; Pita marks the productive years from 15-55; and Vata, marked by wisdom and a gradual drying out of the body, concludes the life span. As we age and move toward the Vata period of life, consuming traditional fats and oils is particularly helpful, especially for neurological function.